Business Image Printing can help you design and create the perfect custom printed vitamin boxes to go alongside your vitamin products. From custom printed pill, capsule boxes for your own line of vitamin products or tablet-specific blister boxes At Business Image Printing we give you full creative space in designing the look and feel of your custom packaging so that while you worry about what your product’s packaging looks like, we can worry about making it. 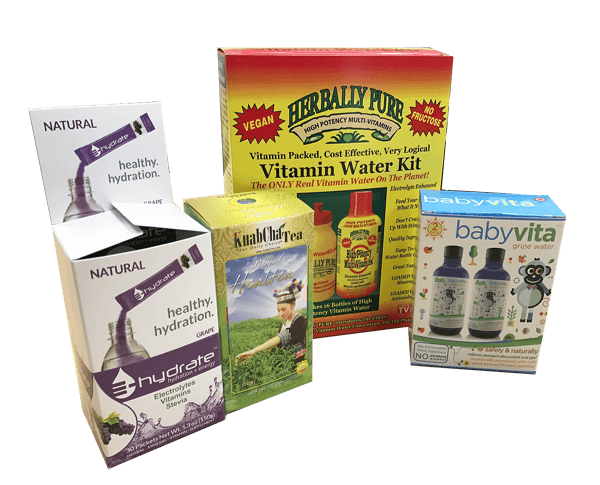 We have a large size of customization box options for you to choose from for your vitamin products, as well as we offer a varied selection of pre-made custom box templates or even the ability to make your own custom template in the style that you want. And that’s not all as our team of experts is also well-prepared in making sure that your box patterns, artwork, or company logos all make it on to your custom printed box with flawless execution and finesse. Featuring state-of-the-art resources and a team well-trained in using those resources to their potential we can promise you that with Business Image Printing you can receive high-quality custom printed vitamin boxes or packaging, that is durable and eye-catching at the same time with cost friendly prices and speedy turn around. Not to mention we also offer free plain box mock-up samples and custom printed mock-up samples of your custom packaging for you to view before production process. So give us a call and you can get your vitamin product boxes with the professional-grade and quality custom packaging it deserves. For more information regarding any special additional features such as spot UV coating, hot stamp foiling, or embossing, feel free to contact us for more details.